This amazing country is home to unique landmarks and culture masterpieces. 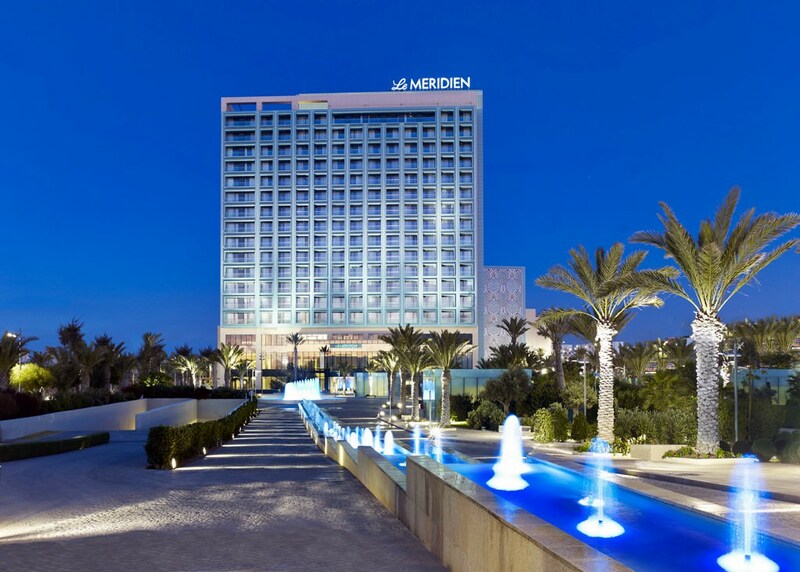 The capital of the country, Algeria, is particularly rich in various places of interest. The main landmarks here include the Jamaa-el-Jedid Mosque and Place of the Emir Abdelkader, the building of which took place in the 17th century. These grandiose buildings are well-known far beyond the borders of the country. In the mountains, on one of high hills, visitors will find another famous landmark - Notre Dame d'Afrique, which shining cupolas are seen from the coast. Algeria has both new and historical districts. The old city is a wonderful place full of ancient buildings and beautiful squares adorned with marble and flower beds. This district is called Casbah, which can be translated as “fortress” from Arabian. Besides that, there are several interesting museums, the oldest university in the city, several old libraries and a spectacular botanic garden in the capital. If you want to enjoy both sightseeing and looking at breathtaking landscapes, do not forget to visit the city of Djemila. Located high in the mountains, the city offers spectacular views of surrounding towns and the coastline. Many centuries ago the city was the property of the Romans. Today amazing landmarks of Djemila are reminiscent of that period. These are traditional Roman buildings, churches and triumphal arcs. There are other famous buildings in the city such as churches that were constructed during the medieval period. The M’zab Valley is a place that tourists should not forget to visit during their stay in Albania. This is a true architecture masterpiece built in the 10th century. The valley keeps developing and new buildings appear there, making this interesting architectural project a truly magnificent and an unforgettable one. 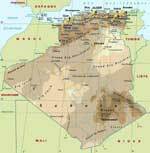 The first large settlements on the territory of Algeria appeared in the 11th century BC. There were Phoenician colonies at that time. Consequently, they were unified into the Kingdom of Numidia that was conquered by the Roman Empire in the 1st century BC. After its collapse, the country was the Byzantium period. In the 7th century, it broke free from the Byzantium Empire and became a part of the Arab caliphate. The first Europeans visited the territory of the country at the beginning of the 16th century. In 1518, Spanish navigators reached the country. They managed to conquer several coastal towns but the Ottoman Empire prevented them from colonizing new lands. Algeria had been under it until the 18th century. It gained complete independence only in 1711. It had been an autonomous country for over a hundred years. In 1830, it saw the period of the active French colonization. In 1848, Algeria officially became a French colony. It gained independence from it only in a few years after the Second World War had come to an end. The independence of Algeria was officially pronounced in 1962. Despite the fact that the total length of the coastal line is almost 1 000 km, it isn’t distinguished by a variety of comfortable beaches. There are only a few well-equipped coastal zones suitable for comfortable swimming. One of the most attractive resort areas is the Turquoise Coast. Sidi Fredj is very popular with fans of beach entertainments. Algeria seems more attractive to shopping enthusiasts. As many hundred years ago, there are a lot of craft stall and workshops in the country. Here, hereditary craftsmen create wonderful bronze and copper items, sew clothes and accessories of genuine leather, and make unique interior decorations of straw. Wooden items are the favorite gifts of thrifty tourists. Another popular souvenir is coffee of the local production. You can buy sweet gifts for your loved ones on markets where you can find different sorts of baklava and an original specialty called kalb-el-loz. When walking along the market, you can also taste a lot of popular street dishes. This article about iconic landmarks and sights of Algeria is protected by the copyright law. You can re-use the content, but only under the condition of placement of an active link to www.orangesmile.com. In Algeria, one of the main natural attractions is the Ahaggar massif. 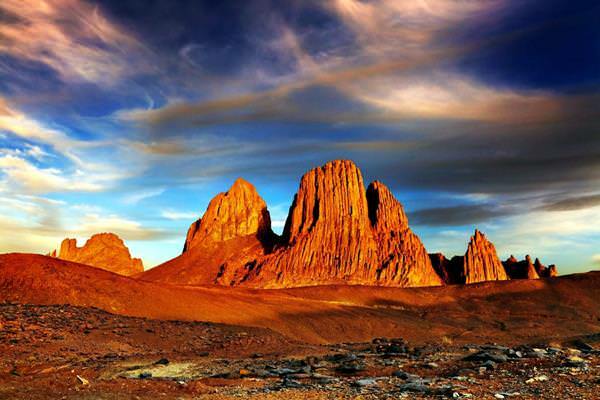 It is located near the town of Tamanrasset, that is the highest point in the state. Mount Tahat heads upward for 2 918 meters. Researchers found out that the mountains are of volcanic origin. For thousands of years, they have been acquiring a unique form given by the wind and water. Considering that the mountain is among the barren landscapes of the Sahara, it looks fantastic, especially at sunset. 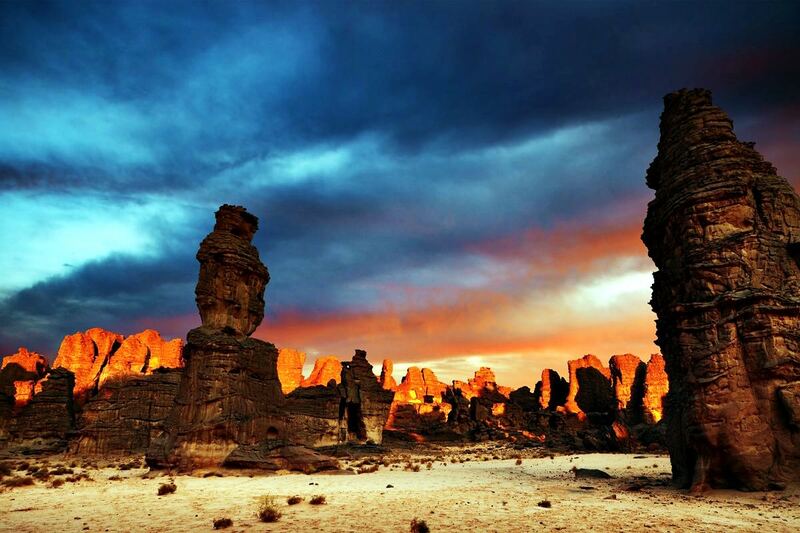 In the south-east of Algeria, among the lifeless landscapes of the Sahara is the unique plateau of Tassili n'Ajjer. The main value of this area are rock drawings, some of them date to the 7th millennium BC. Currently, a plateau, the length of which is about 500 meters, is part of a large national reserve Tassili n'Ajjer, whose total area is more than 70000 square meters. Apart from the incredible archaeological objects, the mountains are also remarkable for the original geological formations. Not only snow-covered routes and mountain roads, but also highways that pass through the deserted areas endanger motorists. The Trans-Sahara Highway links Nigeria and Algeria. 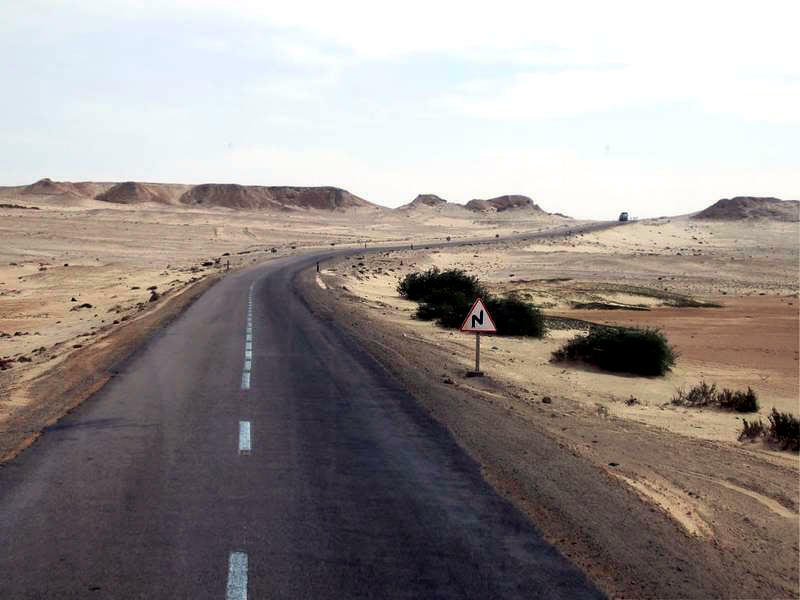 It is the Algerian section of the road that is considered to be the most dangerous and troubled. The total length of the track is about 4500 km, much of it passes through the barren desert environments. 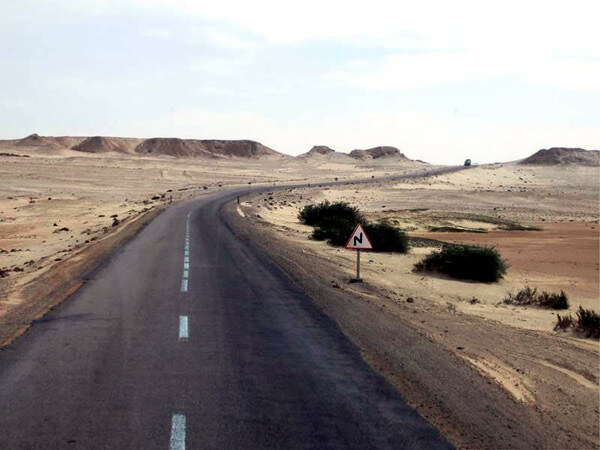 More than half of the track is in extremely poor condition, which often causes serious accidents in the desert areas. Regular sandstorms await drivers. Even experienced drivers advise to “ride out a sudden storm” and try to pull the vehicle off the side of the road, so as not to be in the way of other drivers.